We had just finished dinner in our new apartment and my teenage, now-stepson had left his dirty dishes next to the sink. Again. 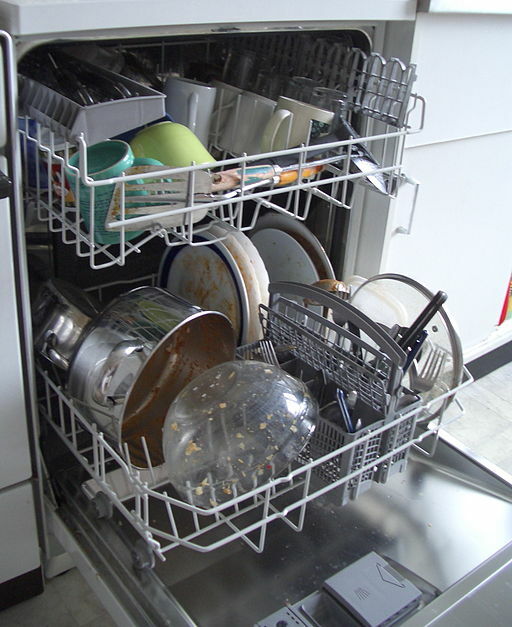 “Can you please show him how the dishwasher works?” I said to my now-husband, Tom. It wasn’t really an accusation. The place they had lived before was dishwasher-free. I went out the door to collect the laundry. When I came back, the dishes were next to the sink, untouched. Tom was watching TV. “I thought you were going to show him how the dishwasher worked,” I said. There had to be more to this story. Tom opened the dishwasher and pointed inside. “I showed him how the rotating jets ascend when the door is locked, and how the chemical composition and velocity of the arced spray rinses off the food and disinfects the plates.” He smiled, like he was proud of his role in passing on the physics of dishwashing to a new generation. Here’s the thing. He had explained HOW the dishwasher worked because that is exactly what I had asked him to do. “I just wanted you both to put your dishes in there,” I said. But from Tom’s perspective, if that’s what I had wanted, why didn’t I just say so? For an NT, it’s hard to believe that a person can really be so literal. As NTs, we naturally understand how to read between the lines, and we are suspicious of anyone who claims to be unable to. It would be easy for me to be upset over these situations, and to blame my husband for secretly trying to make me angry by using a “literal loophole” to avoid fulfilling my requests. But it’s also easy to believe that my husband is a loving person who happens to process language differently than I do. And when I approach communication from this perspective, things turn out better. I get to be happy. I get to be heard and I get to feel like my needs matter.